The economic and social significance of small- and medium-sized enterprises (SME) has gained increasing recognition. Consequently, there is a growing emphasis on the engagement, practices, and outcomes of corporate social responsibility (CSR) in SMEs. A wide range of policy and practical initiatives aimed at improving the engagement and performance in CSR in SMEs have been initiated at all levels of society. A central issue is to what extent and how SMEs may be engaged in CSR initiatives. 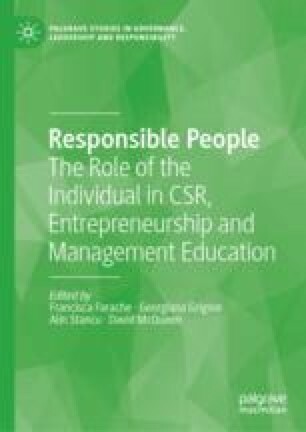 This chapter discusses CSR in Swedish SMEs, more specifically how successful migrant entrepreneurs (SUME) can be engaged in initiatives facilitating the labor market integration of new migrants. The CSR perceptions, motives and priorities of SUME in participating in initiatives that address broader social issues are explored.